These templates can be used in all sorts of craft projects - including making your own Christmas cards, scrapbook layouts, fridge magnets, mobiles, bath foam shapes, Christmas tree decorations and much more! Here's a useful bell template for your Christmas crafts, which comes in a variety of sizes. 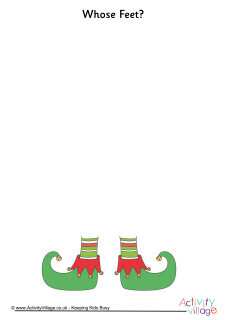 Here's a Christmas stocking template in four sizes, which you can use in your Christmas crafts and projects. This holly sprig template includes pairs of leaves and three sizes of berry - everything you might need to reproduce a holly sprig in your Christmas crafts. Here's a useful holly leaf template. Just cut a few leaves and put them together with red buttons or beads for some cute holly sprigs. Use this layered Christmas tree template in your crafts. The larger sizes also make interesting writing frames, especially if grouped as a "forest" on the board. This Christmas tree template could be useful for all sorts of crafty Christmas projects. It's simple outlines make it simple for younger children to cut out. Use our Christmas bauble template in an oval shape for your Christmas craft or scrapbook projects. How about printing onto coloured card or paper and adding stickers, sequins or glitter, then string them up around the classroom or home? This long thin bauble template make an interesting shape for your Christmas crafts. How about printing onto coloured paper, cutting out and decorating each bauble with a dab of glue and some glitter? Use our reindeer face template for our Pin the Nose on the Reindeer game, together with our Reindeer Horns template. Use this reindeer template for our Pin the Nose on the Reindeer game, or for making your own set of reindeer horns. Our Reindeer Face template might prove useful, too. Use this round bauble template, which comes in a range of sizes, for your Christmas crafts. Alternatively use the larger sizes as writing frames, or cut them out of coloured paper and glue a smaller circle with a drawing or words on it in the centre. How about string them around the room? This cute template of Santa's sleigh is useful for all sorts of crafty projects and come in various different sizes. Use this fun Christmas template in our suggested Christmas crafts or come up with your own projects. It is available in 4 different sizes. Use this useful, simple Christmas tree outline for making cards, scrapbooking and lots of other Christmas craftiness! We have two pdfs below offering various different sizes.